Do you know how your apartment’s water system functions? How does plumbing work? Here’s what you need to know. Only 35 percent of the U.S. population lives in single-family homes. A significant percentage of the remaining 65 percent lives in apartment buildings. But how does plumbing work in those buildings? Many tenants who live in, work in and even own apartments don’t understand their plumbing systems. This makes it confusing when problems inevitably arise. If you don’t know how the plumbing works, you can’t know whether the problem is minor or an emergency. To know when to call a professional — and which one — it’s helpful to learn some basics about apartment plumbing. All plumbing systems use two separate subsystems made of pipes. One brings freshwater inside, and the other transports wastewater away. The freshwater system uses pressure to move water to where it’s needed in the building. The wastewater system doesn’t need pressure, since wastewater moves down and out of the building. The drainage pipes always aim downward to let wastewater flow through. Vents in the wastewater system let air in so the water more easily flows out. Traps seal the drainage system so nothing can move back up once it drains away. Shutoff valves for the entire system, as well as for specific areas, let people turn off the water flow while they fix problems. The systems also use a meter to measure water usage. Cold water comes out of the taps automatically. To get hot water, cold water moves through a heater to raise its temperature. But the system works differently in a house than in an apartment. Let’s take a closer look at apartment plumbing. Apartment buildings are categorized as either multi-story dwellings or multiple dwellings. For plumbing purposes, “multi-story” refers to those buildings that are too tall to use pressure from the municipal water supply to reach the entire building. These taller, vertical buildings need systems that can reach each unit. Multiple dwellings also have separate units but don’t have the same water pressure issues. Multiple dwelling apartments can use plumbing systems like those in a house — let’s look at how those work. Multiple dwelling plumbing systems work like single-family home systems, except that the pipes branch out more to provide water to each unit. As the water comes into a multiple dwelling apartment from the municipal supply, a system of pipes, faucets and valves makes sure water gets where it’s needed. Hot and cold-water lines provide water at the faucets in kitchens and bathrooms. Water hookups may also exist for dishwashers, disposers, ice makers and other appliances. The drain-waste-vent (DWV) system carries wastewater out of each unit in the apartment building. Since all these pipes stay hidden in the walls, most people don’t think about them until they run into a problem. But in a multi-story system, such as a high-rise apartment building, things look a little different. One of the main challenges in a multi-story apartment system is to get enough pressure for the water to reach each unit. Some buildings use gravity-based roof tanks, which pump water up from storage tanks on the ground floor or in the basement. The water reaches the roof tank, where gravity helps it flow down to every unit. Others have a series of booster pumps that adds the pressure needed to move water from the storage tanks or straight up from the municipal water supply. These pumps add to the system’s existing pressure. Finally, some multi-story systems use hydro-pneumatic storage tanks. Water moves from the municipal supply or the storage tanks into these hydro-pneumatic storage tanks, where air pressure helps push the water to where it’s needed. Large buildings can have several kinds of plumbing drainage systems: branch lines, vertical stacks and horizontal underground lines. Vertical stacks move from the building’s ground floor or basement to the roof. These include waste stacks, soil stacks and drainage stacks. Waste stacks move water away from “clean water fixtures” like showers and sinks. Soil stacks move water away from fixtures like urinals or toilets. Vent stacks only support the system with airflow – they don’t actually move water. Branch lines connect these vertical stacks to each unit. They transport the wastewater to the proper vertical stack. From the branch lines, the waste moves to the horizontal lines. Horizontal underground lines run beneath the building and use gravity to move wastewater from there to the local waste system. One-pipe: Wastewater and solid waste move through a single drainage system. Two-pipe: Liquid and solid wastes move through separate systems. The bigger and more complicated the building, the more it benefits from a two-pipe system. Finally, these systems also need control valves for each unit. This reduces the risk of cross-contamination between units. It also lets the water supply to an individual unit be shut off if repairs are needed or the unit isn’t occupied. Most apartment buildings sometimes need plumbing help. Knowing how plumbing works will help you understand the problems you run into. However, it still takes an experienced professional to fix them. If you need a plumber, look no further. 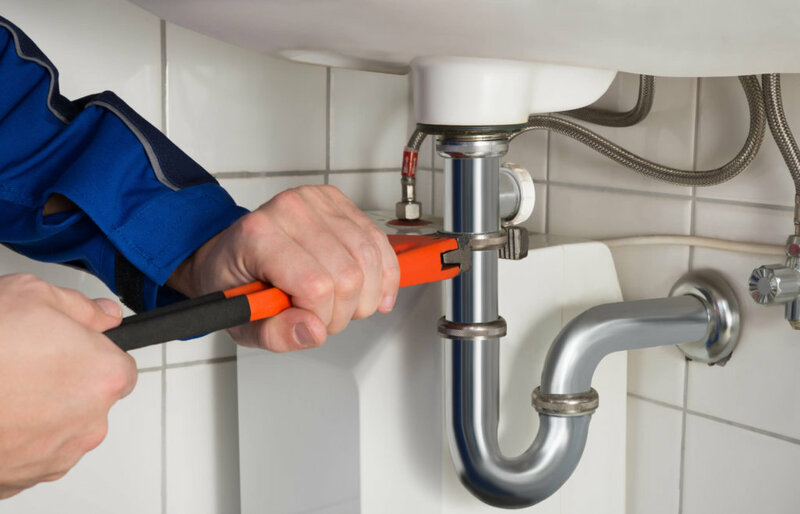 Call (402) 731-2727 now for professional plumbing services.